Meagan Johnson is a generational expert, in-demand speaker and corporate trainer. Since 1997, she has presented more than 500 paid speeches and seminars to companies throughout the United States, Canada and Mexico. She has a Bachelor of Science from Arizona State University and holds the designation of Certified Speaking Professional from the National Speakers Association. 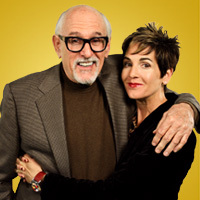 In addition to being father and daughter, the Johnsons are the authors of Generations Inc. They are also the principle partners in the Johnson Training Group, a consulting group whose goal is to help organizations improve productivity, profitability, customer satisfaction and employee morale through innovative management practices.